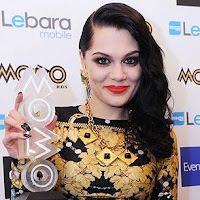 Jesse J won four awards at the MOBO (Music of Black Origin) Awards in Glasgow, Scotland on October 5th. But there is some black critisism. 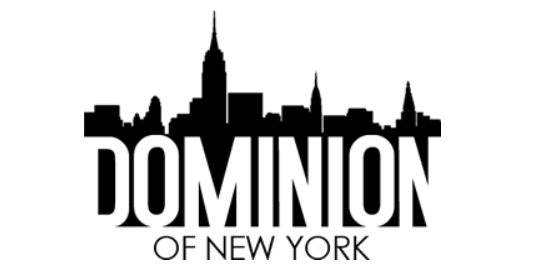 In the show's 16th year, the Best Newcomer also took home Awards for Best Album (Who You Are), Best Song ("Do It Like a Dude") and Best U.K. Act. Other winners included Rihanna for Best International Act and Adele for Best R&B/Soul Act. Amy Winehouse was honored in a special tribute that featured her goddaughter, Dionne Bromfield, singing "Love Is a Losing Game." But according to the black newspaper The Voice, the MOBOs are criticised over Jessie J sweep. The biggest outrage came from supporters of UK rapper, Wretch 32 who believed the Tracktor star, who was nominated for four categories at the Glasgow ceremony and didn't win one, should've at least scooped Best Newcomer. Fellow rapper, Chipmunk, tweeted: "Conspiracy"
While Choice FM presenter, Kojo, wrote: "All Im saying is CRAIG DAVID all over again," in reference to the infamous 2001 BRIT awards, where the singer was denied all SIX gongs he was nominated for. Back in July, Voice reporter, Janice Brown asked whether the Mobos were "doing a disservice to black artists" by using white singers to promote the awards. She wrote: "I certainly don’t subscribe to the thinking that black people should always ‘help their own’, regardless of whether those seeking help deserve it or not. But if organisations like MOBO – and The Voice – that seek to promote black culture, choose to push white talents over black, can we really expect any more from the mainstream?" MOBO founder, Kanya King said after the awards: "The awards reflect what is happening in the UK music scene right now." Is this a black American awards show? Why is it over in the uk? I think there's maybe one non-black American category: The African music category. Chipmunk is garbage. He would never be nominated for anything over here. So when I hear people say "he's black so he's can do rap," I feel like slapping them. There are white rappers better than Chipmunk here in the US. And rap is more white Americans' music than it is Africans' like Chipmunk. Whites were rapping since rap's creation IN AMERICA. According to Sanza, Corrine Bailey Rae can do soft jazz because her dad is African yet Amy Winehouse can't because she's white. That's pathetic. Winehouse is a billion times better than Rae. Yelawolf is a better rapper than Chipmunk and he's a "white boy." And, lastly, Jessie J is GARBAGE. But so is Chipmunk. Yet, rap and R&B are neither of "their" music. Both aren't black Americans yet Chipmunk feels entitled enough to call it a conspiracy since his crap wasn't rewarded. Truth2011, this is a UK awards show since 1995. And Chipmunk is not from Africa, he was born in London. I would think that a award show geared towards black people would give awards to the black.Listen iam a black american, give this award show another 10-15 years and whites will be the majority award winners rather than blacks.How do i know because it happened in the rap game.Saying Eminem is the number one MC and by the way Eminem is racist. MOBO is about music of Black origins and that pertains to people of African descent throughout the world. Truth2011 Chipmunk is Black British. I would like to see MOBO include more British home grown music such as jungle (drum n bass) and funky house grass roots stuff. All in all well done Jessie J, it's about the music don't watch colour guys.